[WIP] GC3 - the lust on iOS! Do you remember the first time you turned on your iDevice? Remember the lust you felt when navigating through the apps and the UI? The theme's aim is to bring back to you exactly this: The lust on iOS. 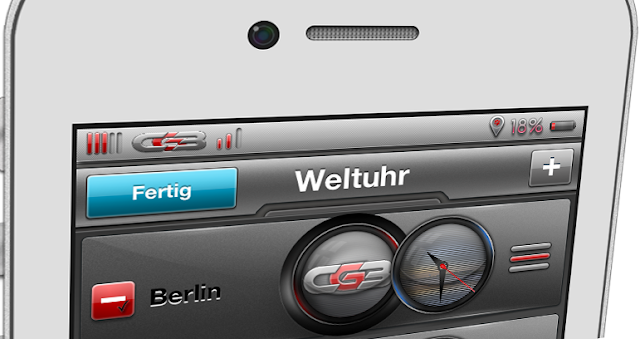 GC3 - for iPod touch and iPhone with IOS4 - IOS5. In GC3 the mad mastermind xpprem delivers to you a design which is packed with unbelievable details while maintaining an overall slim and clean look. Focusing on daily and long term use of the entire UI delivers a design that maintains the perfect balance of matte & glossy style with a light taste of technical attitude. You probably won't see all of these details - moreover you will feel them. We call this "Subtle Detailmania". Subtle Detailmania will bring you back the lust when operating your iDevice. Everything will be / is themed: Main UI, stock apps as well as a custom icon set by henftling. With it's crazy subtle details and more than 4200 images already in this beta GC3 will surely please even the most experienced user. GC3 - bringing you (back) the lust on iOS! Even more!! We want to let you participate on this theme to let this theme grow up to what looks like YOU want. Use this link [You must be registered and logged in to see this link.] or on mobile app donate to [You must be registered and logged in to see this link.] at least 2.99$ . PLEASE dont forget to put in the details your UDID! Without this ID you won't get access. You find your UDID when you open Cydia at the bottom. It is this very long alphanumeric string! You will get an email with more instructions to get the theme as soon as we added your ID. We decided to deliver this theme on Cydia with an own repo. Be sure to stay here for more instructions. GC3 stands for German Collaboration. The 3 just stands for the number of members. XPPREM: mad themer, father of the entire UI and creator of "Subtle Detailmania"
Re: [WIP] GC3 - the lust on iOS! this theme is sick bro!!! VERY!!! Looks like a sure thing already. I still think Select HD didn't get the attention on mmi it deserved.